While we think there's plenty of merit in springing for the top V-6 model—the Genesis 3.8 Ultimate—for all of its infotainment and active-safety features, we don't believe that Genesis 5.0 models offer a significant enough boost in performance, ride, or ambiance. The 2015 Hyundai Genesis is no longer just a great luxury-car value; it's a legitimate alternative to the heavyweights. True to its name, the Hyundai Genesis has been the start of something entirely new at Hyundai. 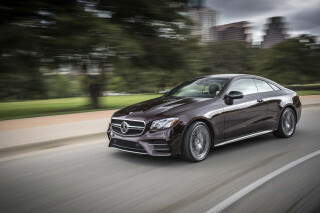 And now with the 2015 Hyundai Genesis—the start of a second generation of this model—the automaker looks prepared to dive in with even higher luxury-car ambition. That said, both its badge and its pricing continue to distance it from most other luxury cars that it rightly rivals. With the original Genesis launch for 2009, the South Korean automaker attempted a true luxury car, but smartly without the daunting bill of establishing an entirely new brand, or dealership network, around it. While we can't call that first-generation Genesis a sales champ (it did, after all land with unfortunate timing for the U.S.), it's undoubtedly raised the bar for the brand, and established Hyundai as a legitimate luxury player—on an Acura level, of not yet Mercedes. And this time, with revamped infotainment gear, more refined finishes, and a full suite of active-safety features on offer—and a base price under $40,000—the Hyundai Genesis might just cause those champagne glasses to quake a bit. The first-generation Genesis had a pleasantly anodyne body, with just a few flares of South Korean style in its grille and secondary controls. The 2015 Genesis goes out of its way to blur even those touches, adopting a new roofline and grille that are striking in combination. The grille's grown up, down, and out in a shape that bears more than a passing resemblance to VW and Audi noses; the winged Genesis badge could be on a Bentley. Down the side, and especially from the rear quarters, the passing references to BMWs are unmistakeable. There may be nothing new under the sun, but at least the interpretation of global design cues works well on the new Genesis, putting some good distance between the new car and the 2009-2014 edition. Inside, the Genesis is simple and feels more like it has its own identity. The dash has a horizontal, shelf-like orientation, and a great layout that’s attractive yet sensible, with the navigation and infotainment screen up high at the middle, and a visually satisfying combination of extensive wood trim facing the passenger with a gently curved, soft dash top. Hyundai carries over the powertrains from the prior Genesis for the 2015 model year, with tweaks to improve fuel economy and performance, but has enlisted some high-wattage experts to help tune the sedan's handling. 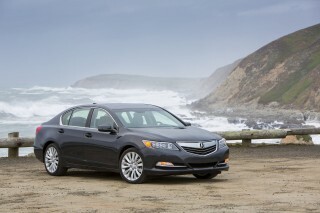 And the resulting redesigned model offers strong performance, with a more nuanced driving demeanor than before. As for whether the 2015 Genesis has what you need in a large luxury sedan, it's a matter of wants and needs. If most of your driving is on straight boulevards and freeways, the Genesis has all the performance you'll need—with an ideal mix of comfort mixed in, without ever feeling wallowy. Only if you regularly need to head over a mountain pass or along a canyon road will you understand (and care) that this definitely isn't a sport sedan. The base engine remains a 3.8-liter V-6, now rated at 311 horsepower and 293 pound-feet of torque; the 5.0-liter V-8 version puts out 420 hp and 383 lb-ft; they're both teamed to the same eight-speed automatic with paddle shifters, and they integrate a four-mode system (Eco, Normal, Sport, Snow) that tailors shift quality, throttle response, and stability control to the driver's taste. The bigger news is in traction. After rolling through the first five years as a rear-drive sedan, the Genesis adds all-wheel drive for 2015. The new system can vary the split of torque from the rear to the front wheels as traction needs arise, and Hyundai says it adds only about 165 lb to the car's weight. The down side is that it does lower gas mileage, quite significantly. The 2015 Hyundai Genesis has a nicely tuned rear-wheel-drive architecture, but it's clearly no sport sedan, and that's underscored when the road turns tighter and twistier. The Genesis V-6 feels considerably lighter and more responsive than the V-8 models, however—because it's lighter by more than 400 pounds. For all versions, there's a new five-link independent suspension front and rear; it has more wheel travel and stiffer construction—and some tuning help from Lotus Engineering. Top Genesis 5.0 Ultimate models have an available Continuous Damping Control (CDC) air suspension that can be toggled from Normal to Sport mode—although we're not convinced on the worth of this system. What is a pleasant surprise is the Genesis electric-assist, variable-ratio steering. Throughout the cabin of the 2015 Hyundai Genesis, you'll find impressive materials and top-notch fit and finish. And whether you've owned various vehicles with luxury badges in the past or you're new to luxury cars entirely, you won't likely find anything missing in the comfort or ambiance. The 2015 Hyundai Genesis is first and foremost a comfort-oriented luxury sedan, and this is just as apparent if you're in back as if you're in front. The front seats can be powered in as many as 12 directions, with four-way lumbar adjustment, heating, and ventilation. The rear seats can be heated as well. The Genesis is built on a rear-wheel-drive platform, and while there might technically be less rear legroom here, but the Genesis feels roomier when it comes down to what matters for adults—getting in and out easily, and not constantly rubbing against the headliner or up with the moonroof housing. Getting in and out is far easier here than in the front-wheel-drive Hyundai Azera—with no need to duck when getting in and out—and the more upright package and more formal roofline adds up to a cabin that feels airier inside. It's also incredibly quiet inside. Safety ratings, with five stars from the feds and Top Safety Pick+ status from the IIHS, are top-notch all around; but in addition to nine standard airbags (with the addition of a driver's knee bag for 2015), the Genesis includes high-beam assist, a rearview camera system, and front and rear parking assistance. There's also a suite of active-safety features that might help avoid vehicles in your blind spot, and other systems will actually help keep you within lane boundaries—and actually make mild steering corrections to keep you in your lane of travel. For many of these features, you'll also get haptic feedback (a vibration warning you of hazards); the Genesis is the first Hyundai to offer such a feature. Those who are new to luxury cars and premium brands are often shocked to find that it's easy to add tens of thousands of dollars to the bottom-line sticker price—often just to get some of the features that you might assume to be included in a luxury model. That's not the case with the 2015 Hyundai Genesis, which at $38,950 includes a long list of features like rain-sensing wipers, a rearview camera system, and an eight-inch touch-screen system with navigation. All-wheel-drive models slot in at just $2,500 more and include heated rear seats, a heated steering wheel, and headlamp washers, too. Genesis 5.0 (V-8) models start with all that as standard, and add LED fog lamps, larger 19-inch wheels, quad exhaust tips, illuminated door sill plates, and matte-finish wood and aluminum trim. On either 3.8 (V-6) or 5.0 (V-8) models, the Ultimate package adds a climate-control CO2 sensor, a power trunklid (with a neat proximity-sensing activation that doesn't require waving your foot), premium navigation with an upgraded display, the head-up display, Lexicon 17-speaker audio, and for the 3.8, the matte-finish wood and aluminum trim. Hyundai's second-generation Blue Link telematics system has its debut in the 2015 Genesis sedan. New features include integration with Google Glass; Google Destination Search; remote start; and a new system of notifications that reminds drivers to warm their car in warm weather, or gives recommended departure times for a destination entered into the navigation system by smartphone app. The 2015 Hyundai Genesis dips deep into the luxury-sedan melting pot in nearly every respect. It’s not altogether original stuff, but it comes together really well. The 2015 Hyundai Genesis aims to stand out (and stand apart) at Hyundai dealerships, yet fit right in with luxury benchmarks that cost far more. And you can see that delicate dichotomy of missions in the way the Genesis looks—which is not as daringly different as Hyundai’s other mainstream models. The first-generation Genesis had a pleasantly anodyne body, with just a few flares of South Korean style in its grille and secondary controls. 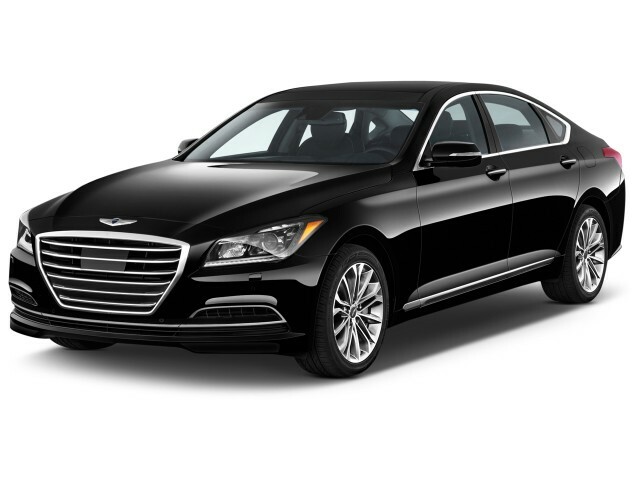 The 2015 Genesis goes out of its way to blur even those touches, adopting a new roofline and grille that are striking in combination. The grille's grown up, down, and out in a shape that bears more than a passing resemblance to VW and Audi noses; the winged Genesis badge could be on a Bentley. Down the side, and especially from the rear quarters, the passing references to BMWs are unmistakeable. It might be nothing new individually, but it works well on the new Genesis, putting some good distance between the new car and the 2009-2014 edition. The Genesis isn’t quite derivative of anything in particular, but you don’t need to be a car expert to see that Hyundai looked to Lexus, Infiniti, Mercedes-Benz, and Audi, among others, for inspiration, and then mashed it up with some of its own language. Hyundai has taken the hexagonal grille that’s been appearing in refreshed models throughout the Hyundai lineup—like in the 2015 Hyundai Sonata—and cut it into the somewhat more ornate look of the outgoing Genesis, to yield a look that’s more textured and nuanced, yet even more in-your-face beaming with brightwork than before. From the front, it looks somewhat Audi influenced; but if you step a bit to the side, it doesn’t at all, with its swept back lamps different hood sculpting. Up close, the look can appear a little too blunt-nosed from some angles, we thought—and the shorter overhangs give the Genesis a great presence from most angles, including at the rear, where the look is undeniably softer and more elegant. It’s worth noting that Hyundai has again intentionally opted against placing the Hyundai badge at the front of the car—instead adding only the Genesis badge, which solicits a little more intrigue (and looks on close inspection even more like a Bentley badge this time). The square timepiece acts as a central visual point for the controls otherwise, which put climate and audio controls just beside and below; the dash bypasses the entirely reconfigurable screen-based gauge clusters of some current models and instead goes with nice, neat analog electroluminescent gauges. If you don't expect a full-fledged sport sedan, the 2015 Hyundai Genesis delivers impressive, balanced performance—and there's no need for the V-8. Hyundai carries over the powertrains from the prior Genesis for the 2015 model year, with tweaks to improve fuel economy and performance, but has enlisted some high-wattage experts to help tune the sedan's handling. 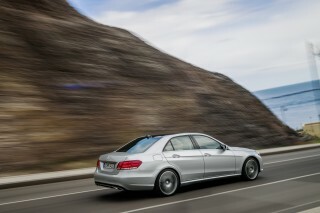 And the resulting redesigned model offers strong performance, with a more nuanced driving demeanor than before. As for whether the 2015 Genesis has what you need in a large luxury sedan, it's a matter of wants and needs. If most of your driving is on straight boulevards and freeways, the Genesis has all the performance you'll need—with an ideal mix of comfort mixed in, without ever feeling wallowy. 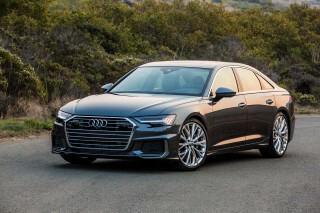 Only if you regularly need to head over a mountain pass or along a canyon road will you understand (and care) that this definitely isn't a sport sedan. The base engine remains a 3.8-liter V-6, now rated at 311 horsepower and 293 pound-feet of torque. It's direct-injected for better fuel economy, sings up its rev range responsively with the eight-speed automatic, and runs on regular unleaded. Power is rated lower than in the 2014 model, while torque is up slightly (333 hp, 291 lb-ft). Even the base model includes shift paddles and a manual-shift mode with a measure of direct gear control. Somewhat stronger acceleration and more luxury credibility—although not necessarily more driving satisfaction, as we explain farther down this section—comes in the form of the 5.0-liter V-8 in pricier versions. Also direct-injected, and with impressively smooth power generation in its past life, the eight-cylinder puts out 420 hp (down a relatively insignificant 9 hp from 2014) and 383 lb-ft of torque (down a more significant 38 lb-ft). It's teamed to the same eight-speed automatic with paddle shifters, too--a touch we always appreciate. Both engines integrate with a four-mode system (Eco, Normal, Sport, Snow) that tailors shift quality, throttle response, and stability control to the driver's taste. Whether in Normal or Sport, we found none of the hesitant downshift behavior that we've noted in some other Hyundai models; the Genesis responds quickly and decisively to a quick prod of the accelerator, and smartly downshifts a gear or two when you ease into it. The bigger news is in traction. After rolling through the first five years as a rear-drive sedan, the Genesis adds all-wheel drive for 2015. The new system can vary the split of torque from the rear to the front wheels as traction needs arise, and Hyundai says it adds only about 165 lb to the car's weight. Fitting all-wheel drive required a redesign of the Genesis' body structure, which in turn brought more high-strength steel into the body, for much higher levels of rigidity. That in turn helps the Genesis handle better than ever, Hyundai promises. It still sports a five-link independent suspension front and rear, but with more wheel travel and stiffer construction—and some tuning help from Lotus Engineering. The 2015 Hyundai Genesis has a nicely tuned rear-wheel-drive architecture, but it's clearly no sport sedan, and that's underscored when the road turns tighter and twistier. The Genesis V-6 feels considerably lighter and more responsive than the V-8 models, however—because it's lighter by more than 400 pounds. On the top Genesis 5.0 Ultimate—a model that we spent some time in on an early drive—there's an available Continuous Damping Control (CDC) air suspension that can be toggled from Normal to Sport mode. But we thought that model neither rode nor handled quite as well as the less-nose-heavy V-6—although it did manage to filter out some roughest bits of pavement. The Genesis' steering is far better than expected; the new electric variable-ratio power steering has rack-mounted motor assist and feels like it could translate with no changes to a true sport sedan. It's neither overly heavy on center nor artificially light, and it loads up nicely with heft off center; it's also a perfect model for the kind of steering calibration Hyundai needs in its other vehicles. The only significant disappointment was that significant nosedive, together with a rather mushy brake-pedal feel, conspired to give us an imprecise, hybrid-like feel to quick stops from city or boulevard speeds. The 2015 Genesis cabin is spacious, thoughtfully designed, and impressively quiet and refined. With its handsome new look, the Genesis gets its interior and storage space rejiggered. It's technically very slightly smaller than before, but at first look, it's a trade-off that nets out with a nicer cockpit. The Genesis is built on a rear-wheel-drive platform, and while there might technically be less rear legroom here, but the Genesis feels roomier when it comes down to what matters for adults—getting in and out easily, and not constantly rubbing against the headliner or up with the moonroof housing. Getting in and out is far easier here than in the front-wheel-drive Hyundai Azera—with no need to duck when getting in and out—and the more upright package and more formal roofline adds up to a cabin that feels airier inside. The outgoing version of the Genesis was pretty good at keeping things quiet, and we think that the new version does even better—with superb isolation away from engine, road, and wind noise. Hyundai has even fitted a low-noise fuel pump, added additional insulation around the rear differential, thickened doors, reshaped the sunroof articulation, and increased insulation and improved sealing at the cowl. You'll have absolutely no problem carrying on a quiet conversation amongst passengers, no matter where they're sitting. Hyundai has redone the Genesis' controls for a less cluttered look and feel—with fewer small buttons—and overall we can't say we're missing anything here. With the navigation and infotainment screen up high at the middle, and a square, ornate timepiece acting as a central point for the controls otherwise, you have some 'hot buttons' for climate and audio controls just beside and below, and a rotary/button controller that acts as an alternate controller to navigate through touch-screen menus. It's not nearly as satisfying as the controllers for Audi's MMI or BMW's iDrive, however, and you won't find features here like the ability to trace input characters. The Genesis does start to show a few flaws when you dig a little deeper. For instance, the center-console cover, rather than using the sort of perfectly counterweighted or smoothly damped mechanisms that you’d see in some prestige-luxury cars, uses a simple hinge and little rubber bump stops. If there's one issue, it's trunk space, which is rated at just 15.3 cubic feet—in the same vicinity as that of many compact sedans—and there is no seat folding. Instead, you get a meager trunk pass-through at the back of the middle position in back. With respect to active-safety features, the 2015 Hyundai Genesis has now caught up to the best from Germany, Japan, or Detroit. Large luxury sedans have become rolling showcases for some of the latest accident-avoidance technology; and the 2015 Hyundai Genesis is no exception. It's quite the safety flagship for the Hyundai lineup. In addition to nine standard airbags (with the addition of a driver's knee bag for 2015), the Genesis includes high-beam assist, a rearview camera system, and front and rear parking assistance. When fully optioned, Hyundai says that the Genesis has a so-called Sensory Surround Safety System. That includes an advanced Automatic Emergency Braking System that will use radar sensors (also employed by the Smart Cruise Control system) to apply full braking at speeds of 5 to 50 mph, or partial braking at 50 to 112 mph, to help warn of a collision, lessen its severity, and/or completely avoid it, potentially. The Smart Cruise Control system now has four distance settings, and it will come to a full stop and restart with traffic ahead. There's also a suite of active-safety features that includes Blind Spot Detection (BSD), Rear Cross-Traffic Alert (RCTA), and Lane Change Assist (LCA)--each technologies that will help you spot vehicles (or potentially cyclists) in your blind spots. Separately, the Lane Departure Warning System (LDWS) and Lane Keep Assist (LKA) will actually help keep you within lane boundaries—and actually make mild steering corrections to keep you in your lane of travel. The system can be turned off completely, and it otherwise has 'pre-departure' and 'post-departure' modes that let you select the level of intervention. For many of these features, you'll also get haptic feedback (a vibration warning you of hazards); the Genesis is the first Hyundai to offer such a feature. To help with all of these alerts, there's an available color heads-up display that shows shows speed as well as a number of other pieces of information—active-safety alerts and navigation prompts, for instance—only when relevant. We like the simplified layout of this system otherwise. From the federal government's NCAP testing, the all-new Genesis Sedan earns the top five-star rating for frontal, side crash, and rollover categories—and in nearly all subcategories, including the side pole test, which simulates a 20-mph sideways collision with a utility pole or tree. The only exception where the Genesis earned four stars, rather than five, in the government's subcategories was for driver front-seat protection, in the 38.5-mph side barrier test. 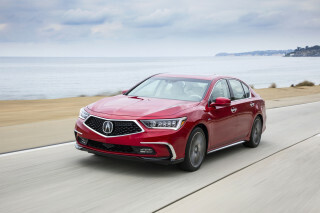 But the Insurance Institute for Highway Safety (IIHS) has already tested it, where it earned top 'good' ratings in all tests, including the tough small overlap frontal category—an especially difficult for a longitudinal, rear-wheel-drive sedan design like the Genesis. If you’re shocked at how much it costs to equip the current crop of luxury sedans well, the 2015 Hyundai Genesis is a high-value compromise—one that won’t feel like a compromise at all. Those who are new to luxury cars and premium brands are often shocked to find that it's easy to add tens of thousands of dollars to the bottom-line sticker price—often just to get some of the features that you might assume to be included in a luxury model. That's not the case with the 2016 Hyundai Genesis. At the base level, for a starting price of ($39,700), the 2016 Genesis 3.8 includes power front seats (with height adjustment only for the driver), telescopic steering-wheel adjustment, rain-sensing wipers, steering-wheel paddle shifters, a rearview camera system, an 8-inch touch screen with navigation, Blue Link telematics services, Bluetooth hands-free calling and audio streaming, SiriusXM Travel Link, HD Radio, and a 4.3-inch display as part of the instrument cluster. All-wheel-drive models slot in at just $2,500 more and include heated rear seats, a heated steering wheel, and headlamp washers, too. Those fine with the V-6 have three different ways to upgrade from there. With the Signature Package, you step up to HID headlamps, blind spot detection, rear cross detection, high beam assist, ventilated front seats, a power rear sunshade (and manual side shades), a power-adjusting steering wheel, a sunroof, and Lexicon Descrete Logic 7 premium surround audio. Adding the Technology Package brings to that upgraded leather upholstery, a driver's seat cushion extender and side bolster, a larger gauge-cluster LCD display, 64GB of music storage, and a suite of active-safety features (automatic emergency braking, smart cruise control, lane keep assist, lane departure warning), with the haptic steering-wheel warnings. Genesis 5.0 (V-8) models start with all that as standard, and add LED fog lamps, larger 19-inch wheels, quad exhaust tips, illuminated door sill plates, and matte-finish wood and aluminum trim. At the top of the lineup, the 5.0 Ultimate costs $55,700. Hyundai's second-generation Blue Link telematics system had its debut in the 2015 Genesis sedan. New features include integration with Google Glass; Google Destination Search; remote start; and a new system of notifications that reminds drivers to warm their car in warm weather, or gives recommended departure times for a destination entered into the navigation system by smartphone app. There are now 10 different exterior colors and four different interior hues, as well as three different glossy wood trims and four matte-finish ones. The 2015 Hyundai Genesis keeps it simple and doesn’t wow with diesels, hybrids, or turbos—and its mileage numbers suffer a bit for that. The 2016 Genesis 3.8 models return 18 mpg city, 29 mpg highway with rear-wheel drive, or 16 mpg city, 25 mpg highway with all-wheel drive. Bigger-engined, V-8 models stand at 15 mpg city, 23 mpg highway. In an early drive on mostly wide-open expressways and rural two-lane highways, we saw an average of about 25 mpg with a rear-wheel-drive V-6 model and nearly 23 mpg with a V-8. Modern engine technology includes variable valve timing and direct injection, which together with the eight-speed automatic's wide span of ratios helps deliver these engines' higher output without putting a larger dent in real-world returns. The V-6 runs on regular-grade gas, while premium is recommended for the V-8. Have had 2 other Genesis......hyundai improves every year. The 2015 sets a new record for ride and performance. Interior is more luxurious and the fit and trim is great. Best Genesis to date. Go G80. Impressive quality, style, comfort, safety, performance. Look forward to the highway drive every day Couldn't be more pleased with this vehicle If this quality & performance continue.... I plan to continue to... Impressive quality, style, comfort, safety, performance. Over the last two weeks, I've given my 2015 AWD 3.8 Genises 500 miles of driving in urban and rural sittings. 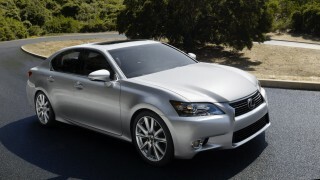 It has performed flawlessly, comfort and power together form a formidable package. The safety... Over the last two weeks, I've given my 2015 AWD 3.8 Genises 500 miles of driving in urban and rural sittings. It has performed flawlessly, comfort and power together form a formidable package. The safety features in the tec package have made me a better informed and safer driver. great car, great value, much improved over previous generation. For the money you can't beat the price. The comfort, quality, and good looks make this car a sure winner. I love the drive of this car. Its handling leaves something to be desired but overall I could not be... For the money you can't beat the price. The comfort, quality, and good looks make this car a sure winner. I love the drive of this car. Its handling leaves something to be desired but overall I could not be happier. Its the first car in some forty plus years of driving like I truly am happy with. 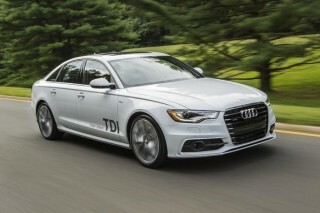 They finally made a car that B.M.W,,Audi and Mercedes better take notice of or they will be sorry.